If you fancy a sampling of vegan food and alcohol, with a dash of animal rights and queer history thrown in for good measure, head to the central London area known as Fitzrovia. 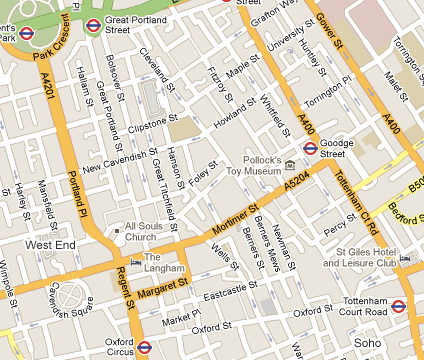 Fitzrovia is an unofficial neighbourhood situated just north of Soho in central London. By many accounts, Fitzrovia was well-known as a hot spot for bohemians, free-thinkers, artists and even the odd socialist from the late 1800s through to the ending of the Second World War. The pubs and cafes of this district provided gloomy spaces in which outsiders were able to socialise, politicise and drink. Art, alcoholism and social justice melded perfectly and remnants of this bygone era can be enjoyed in Fitzrovia today. Last week, Jordan and I ventured into the heart of Fitzrovia and what better place to commence my retelling of our adventures than the Fitzroy Tavern. This inner-city watering hole is purportedly the namesake of the area and was the favoured establishment of many a high profile punter. 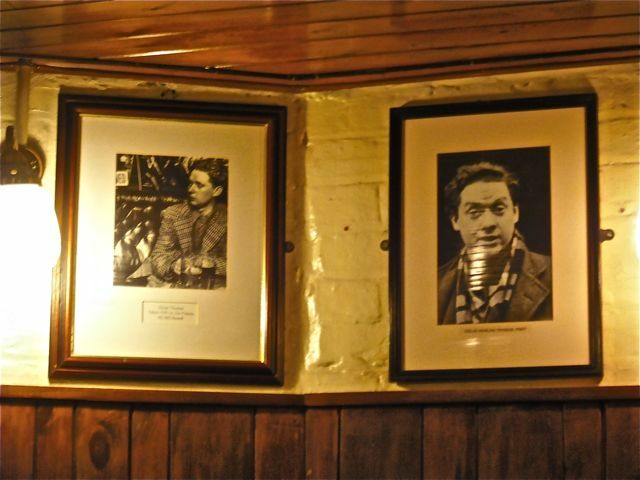 Celebrated Welsh poet Dylan Thomas was often found propping up the bar and proof of his on-site drinking is seen in a framed photograph hanging in the basement bar. Another favourite past-customer of mine is Nina Hamnett. Hamnett was a somewhat-lauded writer and painter who caused quite a stir across London and Paris with her open attitude to her own bisexuality. Hamnett was a regular at the Fitzroy for decades, trading life stories and witticisms for drinks before reportedly falling to her death from an apartment window. Aside from the intoxicating history of the Fitzroy Tavern, another reason for visiting is knowing it is a Samuel Smith pub. Yes, that’s right. Drink up on vegan ale, cider and lager crafted at their Tadcaster brewery and sold only in Sam Smith branded pubs. I recommend sipping a Cider Reserve as you hypothesise over Nina Hamnett’s grisly death. 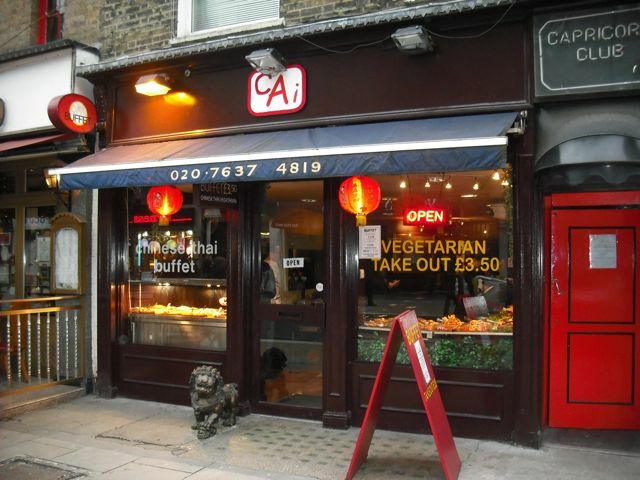 After a few beverages, feel safe in the knowledge you will only have to walk a few blocks to enjoy a vegan feast at CAI Cafe in Goodge Street. This Fitzrovian food outlet is completely devoid of animal products and operates an all-you-can-eat buffet during lunch and dinner sittings. I can’t remember if Jordan and I actually sat down before grabbing a plate each and descending on the buffet. The food on offer was mouthwatering to look at, probably the reason it is showcased in the front windows. 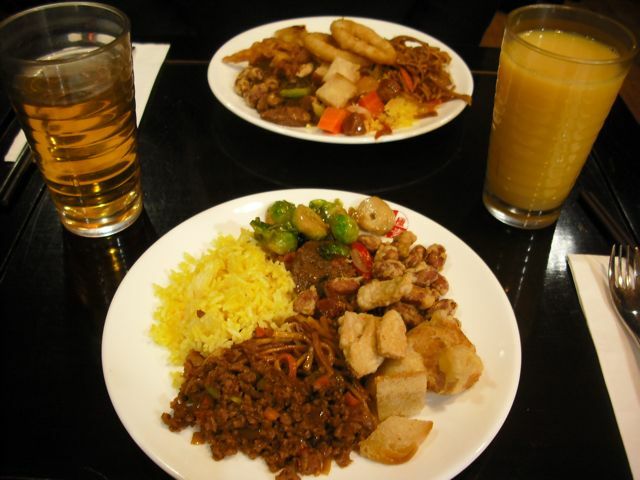 A quick recall of the delicacies brings up warm noodles, herb potatoes, Brussels sprouts, battered onion rings, savoury mince, pilau rice and an entire salad bar. After two plates I thought it best to remove myself from the restaurant. I am still frightened of being told to leave an all-you-can-eat restaurant. It could happen, right? The Fitzrovia experience doesn’t need to end with overeating. 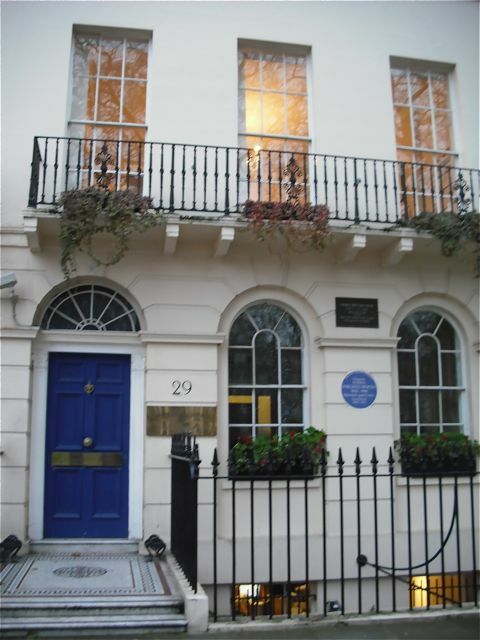 I was delighted to take a short stroll to 29 Fitzroy Square to view a house that claims both George Bernard Shaw and Virginia Woolf as past inhabitants. Woolf famously took her own life (after creating world-famous literature) by filling her coat with rocks and walking into a river. George Bernard Shaw was another celebrated writer who also contributed immensely to the advancement of animal rights. He was a vegetarian for a large part of his life and spoke out aggressively against vivisection. It was a thrill to stand outside this residence, imagining the characters who would have filed in and out over the years to call on these two figures. If you are looking for a day out involving vegan food and drink, animal rights history, literary significance and an insight into queer London, you would be hard pressed to find a more apt contender than Fitzrovia. The Fitzrovia has now become a MUST SEE when I arrive in September. You still write beautifully and compelling because i read everything even though I am a commited carnivore who dips often into the vego world. Thanks for the kind words, Cathy. Perhaps I should try and meet up for a vegan cider or two when you are over.